The author's inspiring story of growing up in rural New Brunswick in a family rich with love but enveloped in poverty, as told to Anne Osborne. The author escaped from Soviet occupied East Germany in 1947 at fourteen years of age. This left him an unwanted citizen in West Germany. Having to survive, he ended up in North Sea dike construction and a spell of coal mining in the Ruhr District. By 1952 he was able to emigrate to Canada and followed the proverbial career of an immigrant; dishwasher, miner, carpenter, eventual university graduation, setting type in a newspaper, work in oceanography, farming and teaching. Being a trained geographer, and as part of his job pursuits he managed to travel extensively (some of it in his own sailing vessel), in North American, Europe and East Africa. The book is not a travelogue, but rather an examination of the people, their ways of life, encountered in this eventful experience. If one had to sum up this volume, it is probably best described as a contemporary history as experienced by one man. The people of Holland lost lives, homes and property during the Second World War, but never lost faith in an Allied Liberation they knew was soon to come. Forced out of their home after it was ransacked and burned by occupying German forces, author Lini R. Grol and her family wandered the bombed-out Dutch countryside for weeks, sleeping in ditches, barns and basements as they waited for Liberation. They faced danger at every turn. As Allied aircraft bombed German positions and the Nazis returned the fire, the homeless refugees were often caught in between. Were it not for the undying Faith of her mother, Lini Grol might never have lived to tell her story. But God heard her pious mother's prayers and delivered them to safety time and again. "...our whole pilgrimage seemed to be guided by a hand that rescued us time and again at the moment of our greatest despair..."
Liberation is a story of hardship, courage and Faith, which will bring exciting inspiration to all who open its pages. 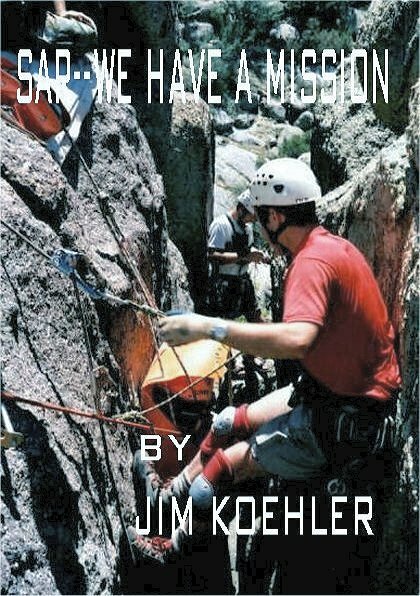 An incredibly fascinating and detailed account of the author's own experiences as a Search and Rescue (SAR) volunteer in the state of New Mexico, USA. After retiring from an engineering career he joined the Albuquerque Mountain Rescue Council (AMRC) in late 1997 and has been a volunteer field worker ever since. That involvement has provided him with some of the most satisfying and rewarding times of his life. The author has endeavored to make this narrative as non-controversial and positive as possible while still being factually accurate in his descriptions of the SAR missions discussed. The missions range from trivial to important, humorous to tragic, and from saving lives to recovering the dead. Throughout all those events his colleagues in the AMRC and the other SAR teams he has worked with have gained his greatest admiration and respect. "We have all worked together to insure that the SAR motto, That Others May Live, is more than just words." When I came home from work that day, on August 25, 1987, I had no idea that my wife Ginny and I would be facing a five-year ordeal that would require all of our moral strength and courage before it was over. This is our story of persecution, vendettas and the Web of Injustice Between Borders.